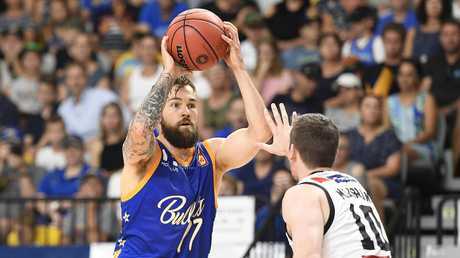 The Brisbane Bullets have bounced back from their worst performance of the season to maintain their dominance over reigning NBL champions Melbourne United. 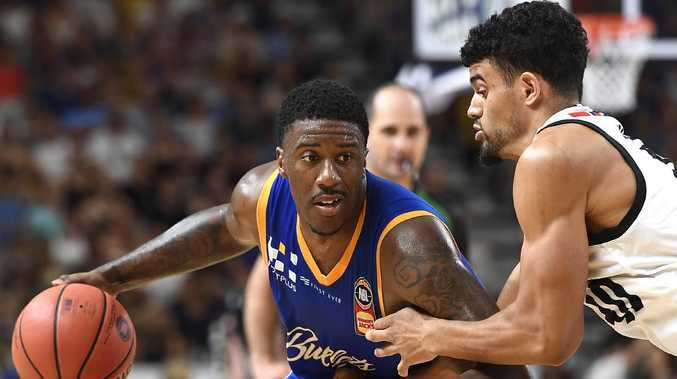 Smashed 109-80 by cellar dwellers Cairns last Thursday night, the Bullets redeemed themselves with a 95-86 win over United on Sunday at the Gold Coast Sports and Leisure Centre. It was Brisbane's third win over Melbourne this season, with the Bullets having beaten the Victorians twice in the space of three days last month. The victory, in front of 4485 fans, improved the Bullets' season record to 10 wins from 19 matches, keeping them well in contention for a playoff berth. The gritty performance was what Lemanis asked for after the embarrassing and lacklustre effort in Cairns. "We didn't come out with the mental application we wanted to against Cairns," Lemanis said. "We expected to come out and play with a better intent (against Melbourne). That certainly showed. "I'm really pleased with the depth that we have now. It enables us to maintain a level of intensity, particularly at the defensive end that we require in order to give ourselves a chance to be successful." Melbourne dropped to third place on the ladder after their seventh defeat from 18 games this season. Casper Ware's game-high 29 points was not enough for the visitors, who were hindered by foul trouble that restricted the court time and impact of their captain Chris Goulding, who finished with 10 points in less than 20 minutes of action. Melbourne coach Dean Vickerman lamented Goulding's limited court time and the absence of import DJ Kennedy, who did not play after being involved in a minor car accident on Friday. "Not having DJ, and (having) Chris in foul trouble … we obviously needed more minutes out of Chris, for sure," Vickerman said. "Down the stretch they made shots better than us. We had some good opportunities that we missed." In a true Brisbane team performance, centre Matt Hodgson hit 17 points and grabbed eight rebounds, Cameron Gliddon contributed 16 points, while Jason Cadee finished with 14 points and nine assists. 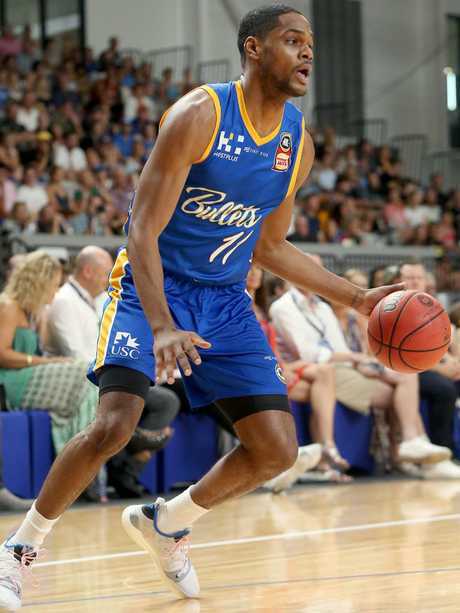 New Bullets import AJ Davis, the son of NBA great Antonio Davis, came on for his NBL debut early in the second quarter. In four and a half minutes of court time, he finished with two points and two fouls. "How we work AJ into this now is going to be part of the challenge for us," Lemanis said.